Rachel W. Cole, a certified life coach (CPCC) with a Master’s in Holistic Health Education, and Ikushin Dana Velden, a student of former abbot Ryushin Paul Haller, will team up this June to lead The Well Fed Woman, a four-day retreat at Tassajara. 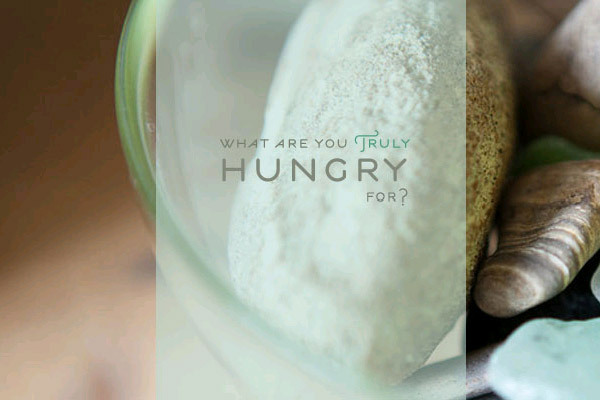 The group will discover what it means to uncover your deepest hungers and desires, to trust and develop a wholesome relationship to them, and to celebrate feasting on life. For more information, including cost and registration information, visit the retreat page. Thoughts on “The Well Fed Woman” can also be found on Rachel W. Cole’s blog, in which she asks us to consider what it is we are truly hungry for. Intrigued? Rachel and Dana are holding a conference call on April 4, 7pm PDT, in which many topics will be covered, including what attendees can expect to experience during the retreat. There is only space for 30 people on the call, but a recording will be provided to all who sign up. To register for the free information call and have your questions about the retreat answered as you consider signing up for the summer retreat, please visit the registration page.